It is that time of year again! The time of year when Sonora families rush to have photo sessions taken and Christmas cards made and gifts purchased…My availability is pretty solidly booked between now and Christmas, but I do have a couple of dates for Twain Harte Tree Farm and holiday mini sessions. The first is for studio mini sessions. Saturday, November 21 I will be taking studio portraits of children, siblings, or small family groups on a holiday set. This is an excellent way to get a photo for a holiday card! 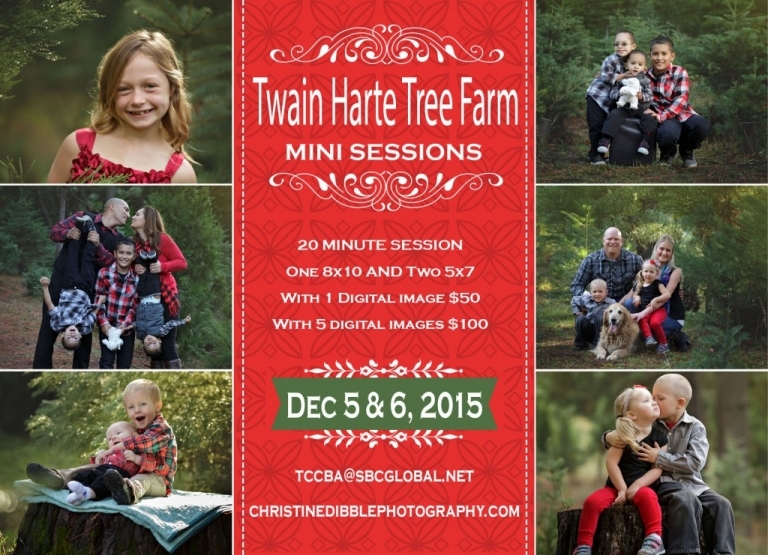 Then on Saturday, December 5 and Sunday, December 6, I will be doing mini sessions at Twain Harte Tree Farm. These slots have been booking before I have even advertised! The galleries will be ready before Christmas, and it is possible for prints to arrive to give as gifts too! If you are looking to book a session, don’t wait or they will all be gone! Brenden - I love these tree farm mini sessions, what great idea! Totally perfect for Christmas, and such a great idea for a gift. Doru - This is such great idea to shoot at Twain Harte Tree Farm. Holiday mini sessions so everyone gets their photos for the Christmas Cards. Dawn Potter Photography - I can see why your availability is so limited! 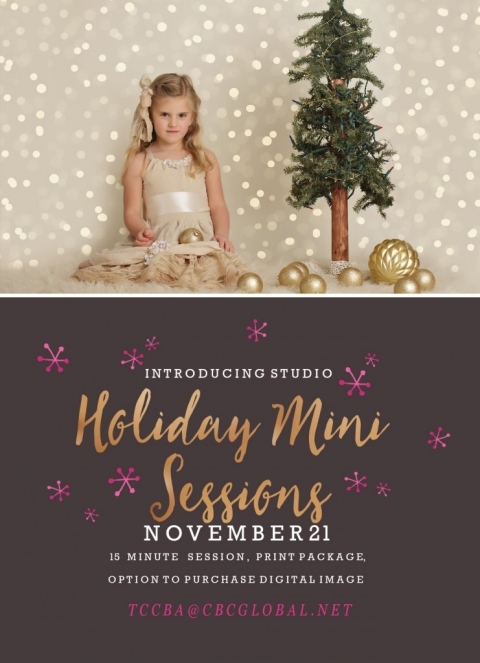 I bet your studio Christmas mini sessions fill up quickly, too. The Twain Harte Tree Farm looks like the perfect setting for your outdoor mini sessions! Samantha - Ahhh I need to get on booking my mini-session at Twain Tree Harte, but I am in such debate after seeing your beautiful backdrop filled with glowy lights. Mini-sessions are such a fun and easy, convenient way to grab a couple of adorable holiday photos to send out to friends and family. Sign me up! Diane Bartoo - How awesome to get to go to a tree farm! These photos make great holiday cards for family and friends, and I love that backdrop in the first photo. It looks like snow is falling in the background. Jenny Storment - It’s that time of year again Christmas Minis! I love seeing your setup every year. Any family wanting Christmas minis at Twain Harte Tree Farm is so lucky you offer this. Christine - I can never figure out how to get our family photo to have a Christmas theme – a tree farm is the perfect way! And mini sessions are great for things like Christmas cards.. great idea and great offer! Allison Anderson - I wish I lived near a tree farm! Twain Harte Tree Farms looks like the perfect setting for Christmas and Holiday photographs! And your indoor studio mini session set up is beautiful! Glad to hear that Sonora is keeping you busy!